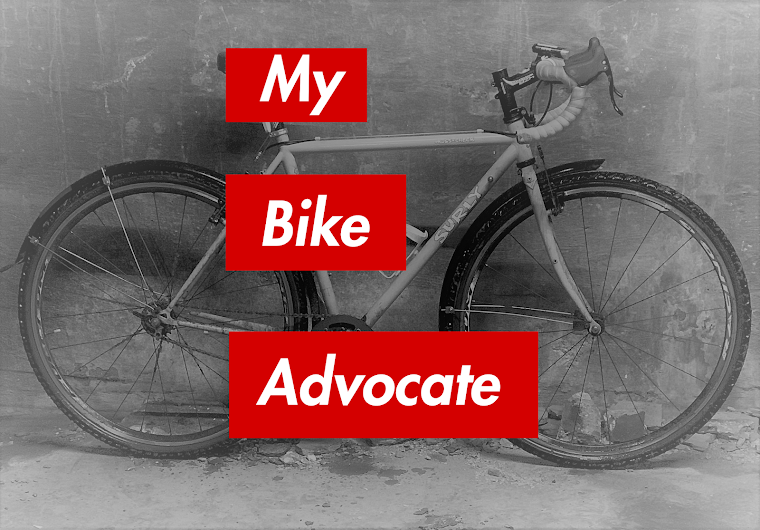 My Bike Advocate: Changing Lights; A Dangerous Time. At intersections controlled by traffic lights, most accidents occur within a few seconds of the change of lights. As a cyclist, I understand that timing and negotiating an intersection is part of the art of riding a bicycle. As a driver, I understand that just because the light turned green doesn't mean I can just plow ahead without verifying the intersection is clear. I'm in the minority though, and most drivers don't appreciate that they must verify the intersection is clear before proceeding when a green indication appears. Drivers do two dangerous things in connection with changing lights. They time the green or they will try to beat the red. Both of these are very dangerous for cyclists and pedestrians because the vehicles tend to be going very fast as they enter the intersection. A driver approaching an intersection with a green light changing to yellow will often speed up in attempt to make the light. I call this "beating the red." In Chicago this happens often as Chicago yellow lights are a ridiculously short three seconds. The driver does or doesn't make the light, but when he hits the intersection he might be going well in excess of the speed limit. That's how Mandy Annis was killed at the intersection of Kedzie and Armitage. She was waiting at a red light on Armitage at Kedzie. Witnesses related that the light turned green and Mandy pedaled forward into the intersection. What she didn't realize is that a driver heading southbound on Kedzie was speeding up in a failed attempt to beat the impending red light. Some estimates had the driver traveling at 45 miles an hour when he entered the intersection. The other thing drivers tend to do when approaching an intersection is time the green. The driver approaches a red light, but they can see that the light is changing, so they time it so that they hit the intersection at speed exactly as the light turns green. The video below shows a driver and a bicyclist timing a light. As you watch the video note the delivery truck waiting at the light in the left hand lane. That truck blocks the view of the intersection to cars in the right lane. You can see the light in the foreground of the video. If you look closely you can see the light change to red just as the bicyclist enters the intersection. At exactly that time you see a pickup truck approach the intersection at speed. The pickup never stops before entering the intersection, and he can't verify that the intersection is clear because the delivery truck is blocking his view. Many factors converged to cause this collision. If any one of the factors had not been present the collision would not have happened, but it just goes to show the dangers that lurk close to the change of lights. "Timing the red" is more risky for bicyclists than it is for cars. Since bicycles are usually traveling much slower they will remain in the intersection and not pass through much longer than cars.